Open Mic: limited to 15 readers (music, stories, poems: please book a slot here) and readings by guest poet Amali Rodrigo. Great poetry, friendly atmosphere, music and singing around the fire and under a wintry moon. Wrap up warm. Amali Rodrigo is a poet and translator, born in Sri Lanka, now living in London. Her collection Lotus Gatherers was published by Bloodaxe in 2016. She has won numerous awards for her work and is currently an Associate Lecturer and PhD candidate at Lancaster University. John Glenday remarks on Lotus Gatherers: ‘What makes Rodrigo a truly remarkable poet? In part, it’s the breadth and intelligence of her vision… in part, the deftness with which she can work that vision into a world we can marvel at, but also recognise. This is a world of paradoxes – exotic and familiar, a deeply spiritual world which delights in passion; that celebrates love, but does not hesitate to focus on unsettling histories of gender violence. Lotus Gatherers is an astonishingly sensual book, in the literal sense – these are poems we can feel; poems we can hear resonating on the page, aromatic poems, laced with breathtaking imagery; poems we can hold up to our lips and taste.’ The collection also includes a sequence of translations of the medieval graffiti song-poems from Sigiriya, Sri Lanka. ​​Guest judge: Jacob Sam La-Rose. Co-judge: Cristina Navazo-Eguía Newton. Both judges read all entries. For information about previous Battered Moons competitions, visit here. 1. Select the number of entries and pay using the ‘Add to Cart’ PayPal button below. The cost is £5 for a first or single entry, or £3.50 each poem for additional entries. There is no limit to the number of entries you can submit. Please make sure no identification marks other than the title are to be found on the poems themselves, as that would cause them to be disqualified. Postal entries to: Battered Moons Poetry Competition, Richard Jefferies Museum, Marlborough Road, Coate, Swindon SN3 6AA, with cheque payable to Battered Moons and separate sheet with personal details, including email if available. Please write name and phone number on the back of the cheque. Open to any UK residents aged 18 or over at the time of entering. The closing date is 31st May 2018. All entries will be considered anonymously. Judges Jacob Sam La-Rose and Cristina Newton will read all the entries. There is no limit on the number of entries a single entrant can make. Postal entries will only be accepted when accompanied by a separate sheet with personal details, and payment. For confirmation your postal entry has been received, please include a stamped addressed envelope/postcard marked ACKNOWLEDGEMENT with your entry. Online entries will receive automatic confirmation at the time of submission. Alterations cannot be made to poems once they have been entered. Entries cannot be returned, so please keep a copy. The judges’ decision is final and neither the judges nor the staff will enter into any correspondence. The competition organisers reserve the right to award joint prizes or not award prizes if, in the judges’ opinion, such an action is justified. All poems must have a title and must not exceed 40 lines in length (excluding title and line spaces) or 250 words and can be on any subject. Entries must be written in English and the original work of the entrant. Entries must not have been published, self-published, published on a website or online public space or broadcast before 6th Oct 2018. 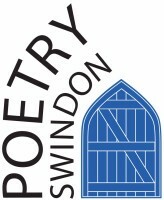 Winners and poets receiving commendations will be notified in September 2018 and invited to an awards event at the Poetry Swindon Festival on Saturday 6th October 2018, where they will read their winning poems. The winning and commended poems will appear in the Battered Moons Poetry Pamphlet alongside a poem by each of the judges. All winners and commended poets will be asked to provide a biography to appear with their winning poem on this website and the Battered Moons pamphlet, and a photograph for the website. The copyright of each poem remains with the author. However, authors of the winning and commended poems, by entering the competition, grant Battered Moons the right to publish and/or broadcast their poem from September 2018.